Funded by AIR, the Project Talent Medicare Study utilizes the Project Talent cohort to explore the relationships between early health, economic, and demographic conditions and later life health spending and outcomes. By linking individual Project Talent data to Medicare claims data, researchers can identify the determinants and early life predictors of higher health care spending and utilization later in life. These findings can lead to an improved healthcare system, enhanced population health, and healthcare cost reduction through the prevention and early treatment of adverse health conditions and the avoidance of unnecessary utilization of the health care system. As you and other Project Talent participants turn 65 and become eligible for Medicare, we have the opportunity to study how earlier life experiences influence health and Medicare costs later in life. 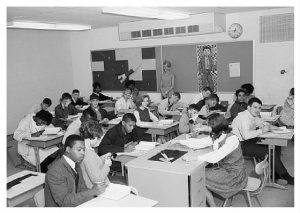 When you participated in Project Talent in 1960, you answered questions about your health, interests, knowledge, and thinking. You also told us a little about your parents—what kind of work they did and how much formal education they had at the time. This information is valuable for many research questions and gives us a ‘baseline’ measure for you. Our greatest interest is to see where all of you are now and how information from your teenage years can help us understand your health today. 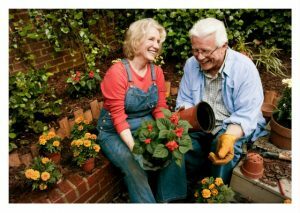 The study findings potentially can help improve health policies and the lives of older people. Our study w ill use only existing data—information from Project Talent and Medicare health claims. The American Institutes for Research (AIR) is working with the Centers for Medicare & Medicaid Services (CMS), which administers Medicare, to streamline the research process, making it possible to connect Medicare and Project Talent information without asking participants to complete any surveys. As you know, surveys can be lengthy and complicated, and it is expensive to gather data from such a large group of individuals—more than 377,000. All information collected by AIR through the study will be kept confidential, and the information will be used for research purposes only and not used in any way that could identify you as an individual. Your information will be combined with data from other participants to produce statistical summaries, so your individual data will not be reported. In addition, the privacy of all Project Talent participants is a priority for AIR. All identifiable information that was collected in the past and that may be collected now or in the future will not be shared outside the project team. Project team members receive annual training in confidentiality, privacy, and information security. We value your participation and store all data using highly protected data security measures. If you do not want us to combine your previous answers from Project Talent with information about you from Medicare, you may tell us this by clicking on this link. We will remove your record from this Medicare study. If you have any questions or would like to speak with someone directly, please contact the Project Talent helpdesk toll-free at 1-866-770-6077 or email us at [email protected] Additional information about the study can be found on our Medicare Study FAQ page.